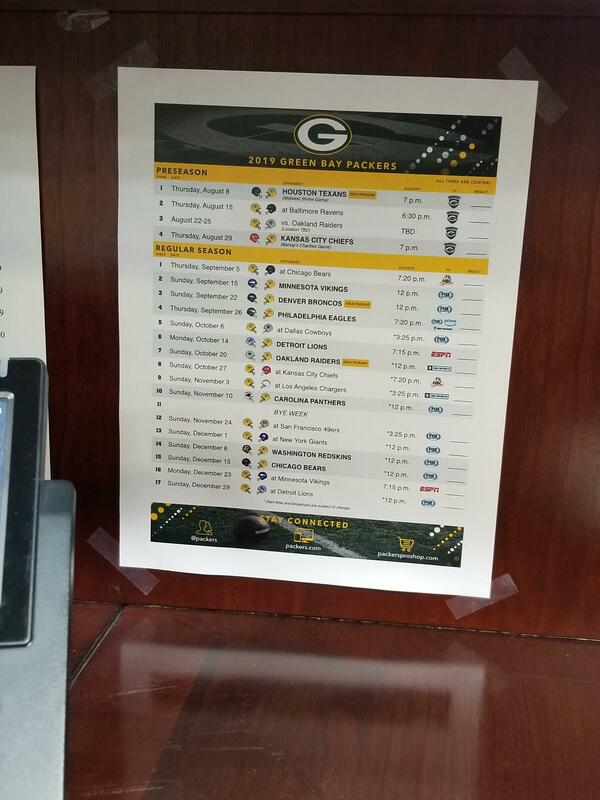 Irv Smith Jr. is #34, Greg Little is $ 35, and Johnathan Abram is #36 for the r/GreenBayPackers big board project. Who's next? 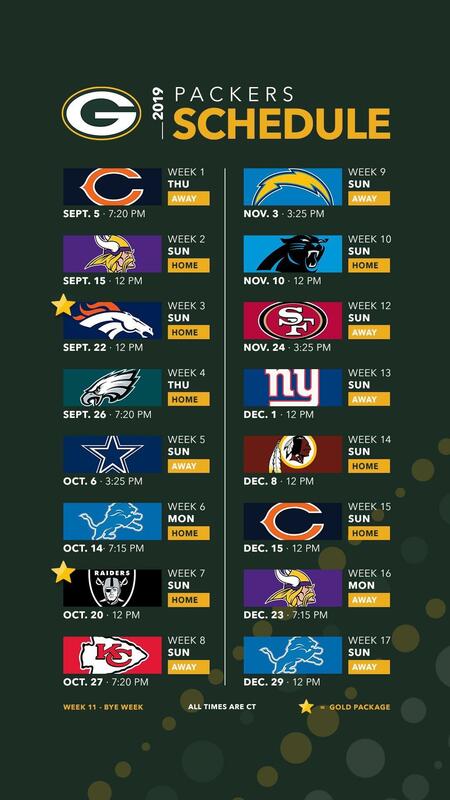 Already requested time off for the Bears vs. Packers game and printed off my schedule... Go Pack Go! Kruse - On NFL Network just now, @MikeSilver reports the #Packers have no interest in trading for Cardinals QB Josh Rosen. NFL Best Fans Ever Super Bowl Commercials- Easter Eggs! The Lombardi Sweep - The play that made GB great. 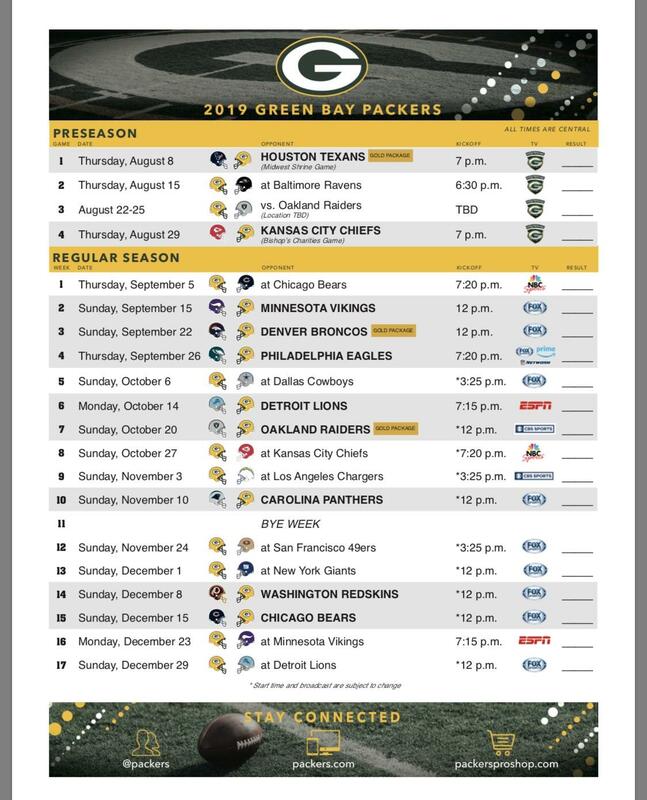 Am I a dumbass for buying a see single game ticket for our away game vs the Chiefs so early? 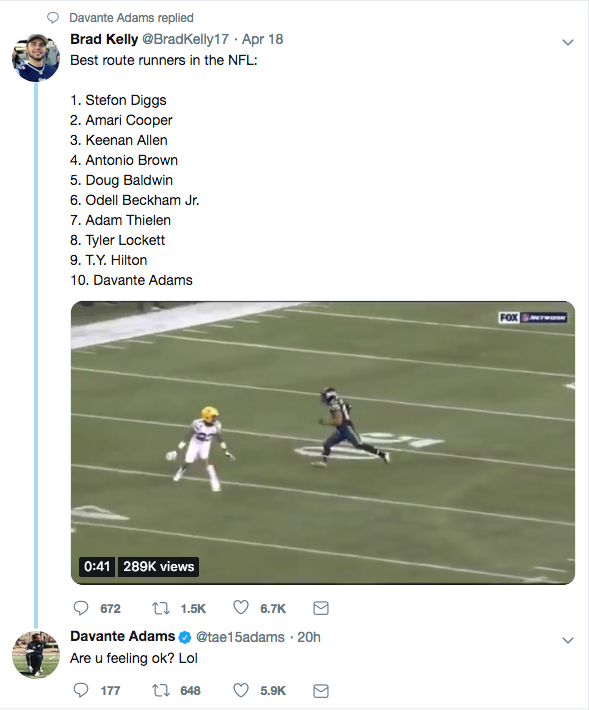 Darnell Savage is #31, Garrett Bradbury is #32, and Byron Murphy is #33 for the r/GreenBayPackers big board project. Who's next? We are Don Majkowki days away from the draft! 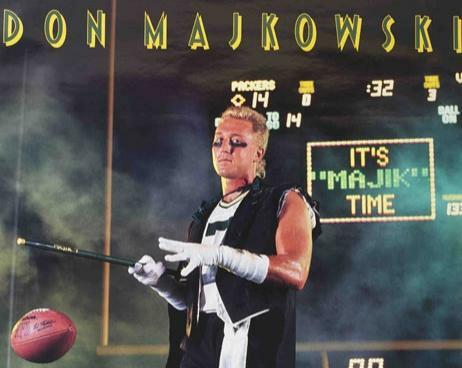 We know Gute and the rest of the Packers brass will make "Majik" next Thursday night! 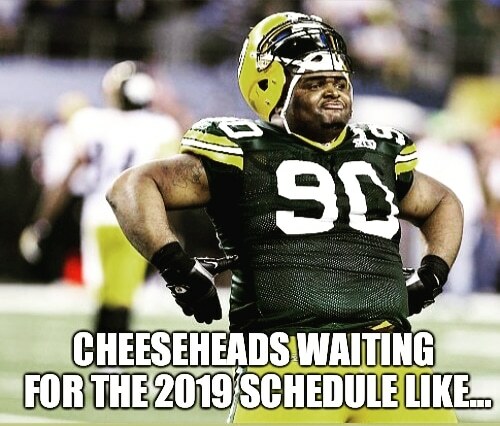 The Packers schedule will be announced at 7pm ct tonight! 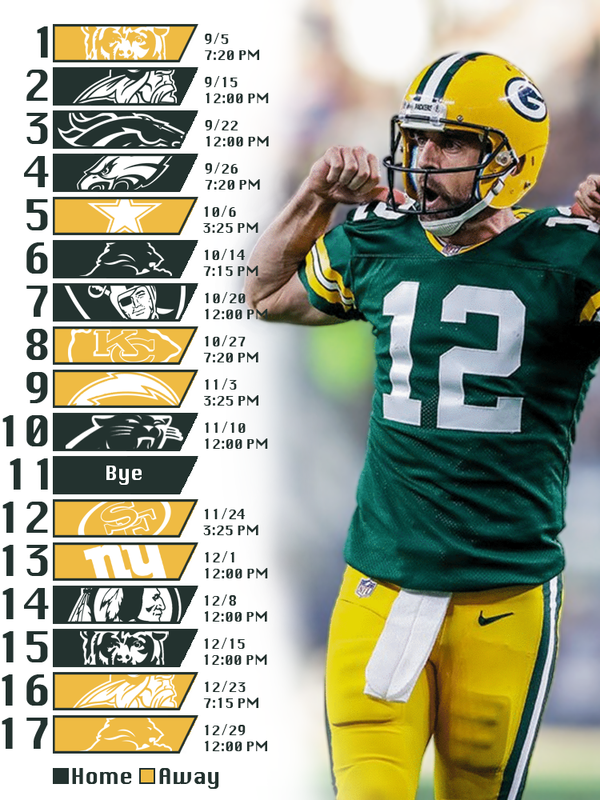 Is anyone else kind of annoyed that the Packers pick 12th and 30th in a seemingly weak first round? I got to hold a 1966 Super Bowl 1 ring yesterday at work! 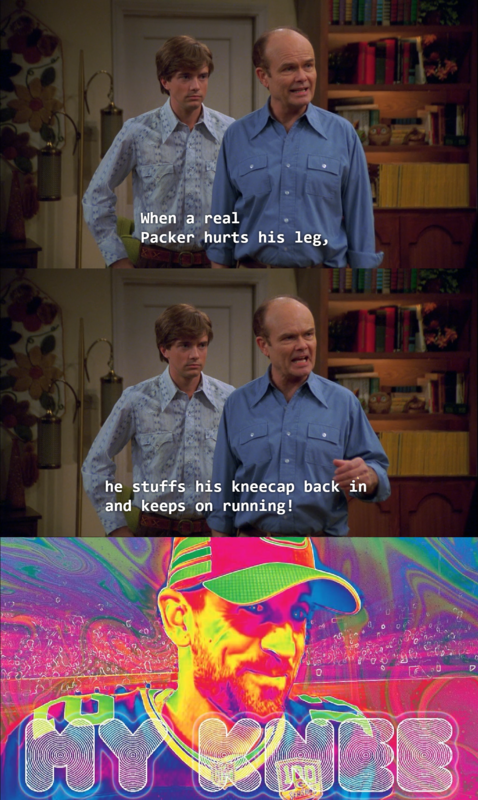 Great point I heard on the Pack-A-Day podcast about the Packer's drafting a receiver early. Check out what one of my dads friends got me. 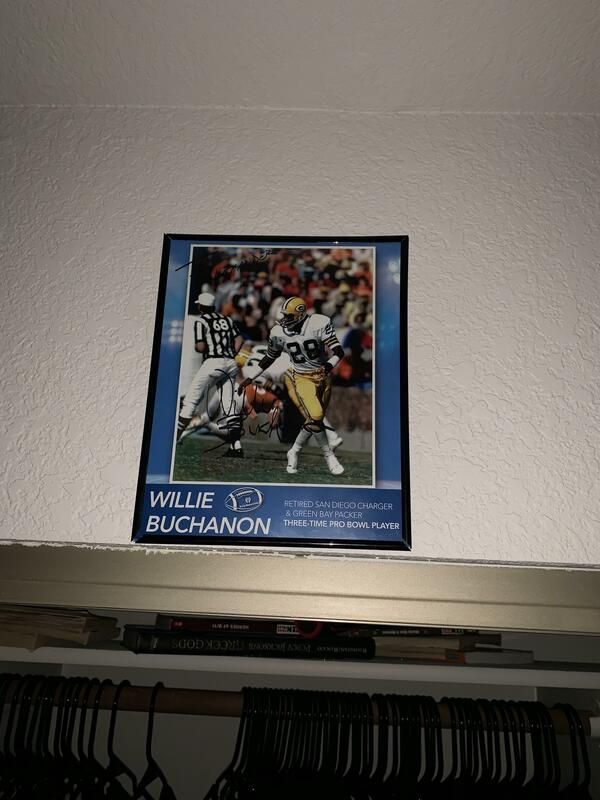 A signed Willie Buchanon picture. Kentrell, thanks for being small enough that I can fit into some of your discounted gear! David Bakhtiari at the Bucks - Pistons game is everything. Honestly if our first pick is Hock, Oliver or Burns I will be happy. 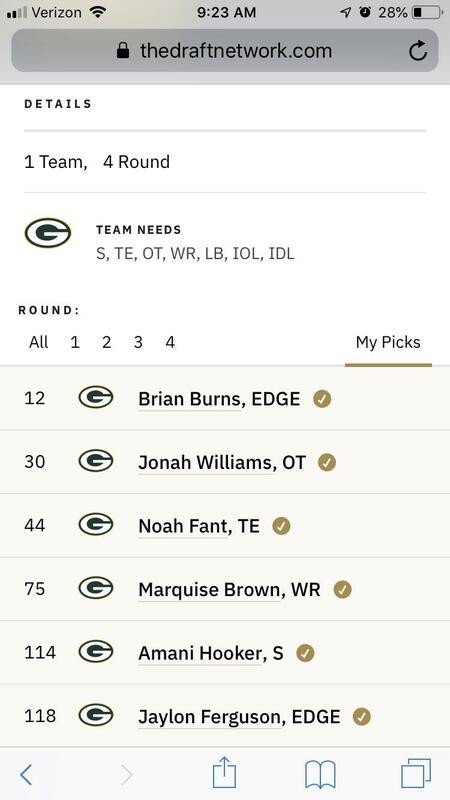 Hey Cheeseheads, I just spent the last 4 days slaving my life away over research for a 7 round mock draft. You guys have so many picks it's ridiculous. Let me know what you think! 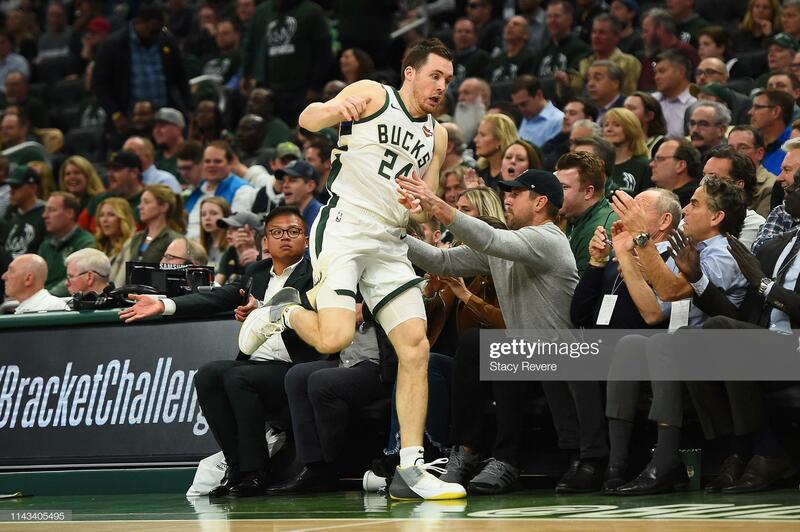 [Milwaukee Bucks] 🍺 @DavidBakhtiari - getting the crowd hype the Wisconsin way!! We have to try DK Metcalk. CMV: Drafting a quarterback with pick 30 would be idiotic. At what point, in your opinion, does our 12th pick go bust? 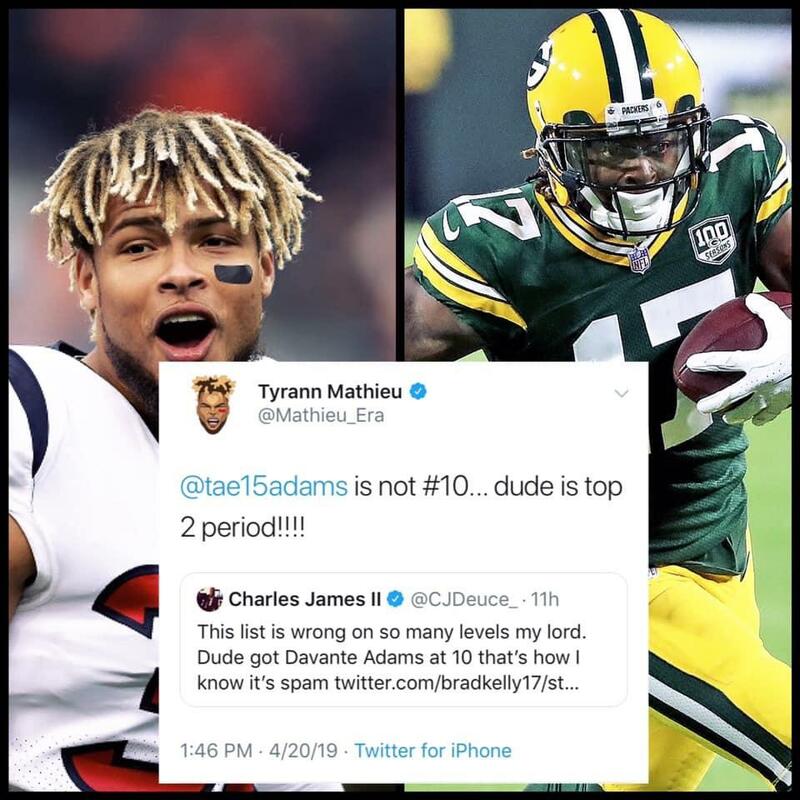 @tae15adams is not #10... dude is top 2 period!!!! I'm Jim Owczarski, Packers beat writer for the Journal-Sentinel: AMA! Just got tickets to infiltrate Arrowhead on October 27th! 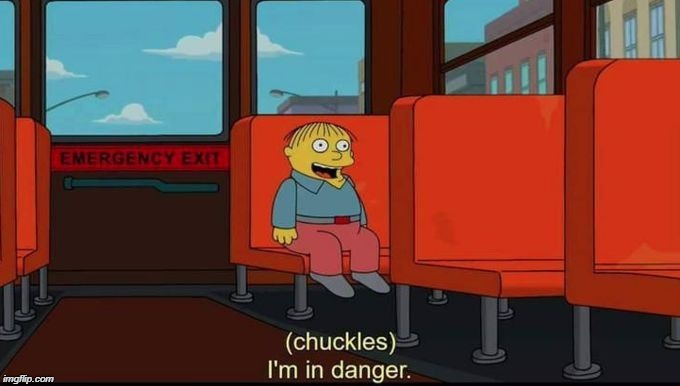 Deandre Baker is #37, Hackeem Butler is #38, and Chase Winovich is #39 for the r/GreenBayPackers big board project. Who's next? Hanging on the wall at Mission BBQ in Virginia Beach, VA. 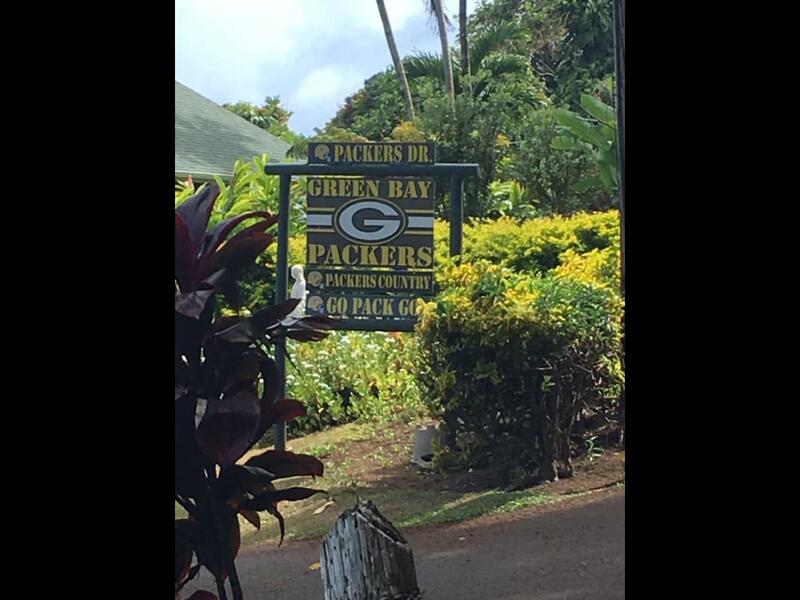 Thought it was pretty cool to see so far away from Packer country! 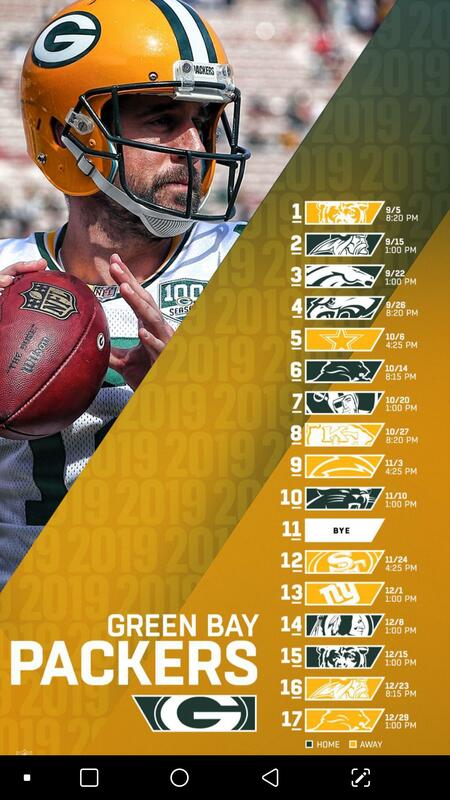 You guys think packers will have a top 10 pass rush ? who else wants to kill everyone who's mock has the packers taking a QB in round 1? 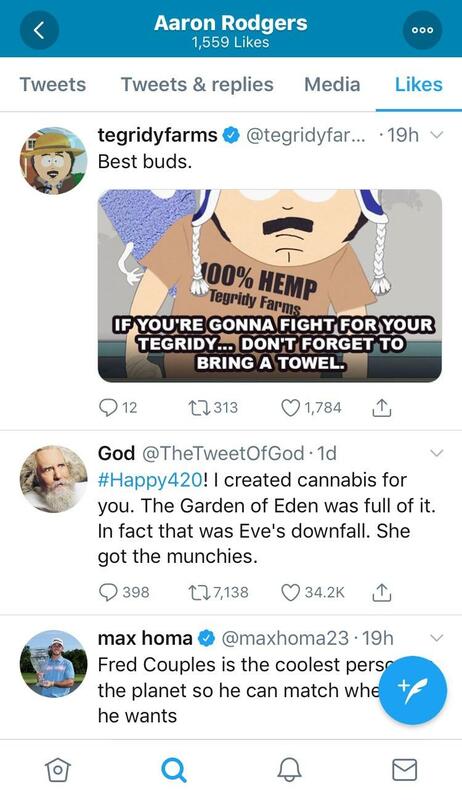 This response from Adams on Twitter! Bukowski: The Packers won’t leave the Central time zone until Week 9. Atlanta's season intro is clever as well. The chance of getting Aaron's replacement is basically 0%. Live chat to accompany draft. Who do you all HONESTLY see us moving on from after this year? 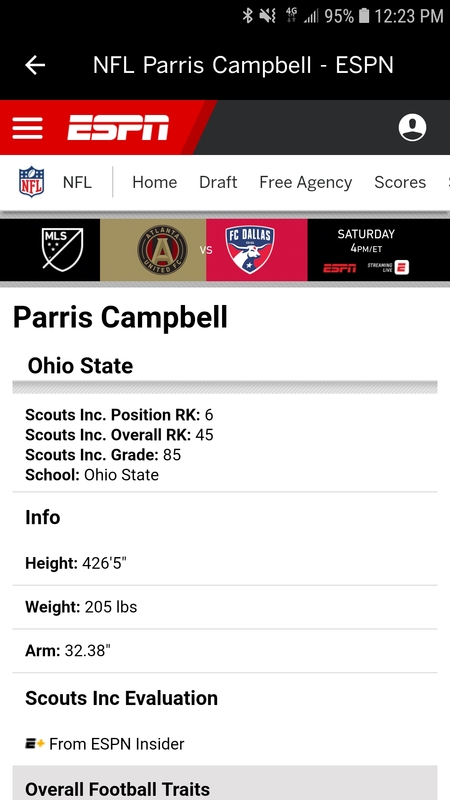 Mel Kiper has the Pack drafting a 426 foot tall receiver in the 2nd round! 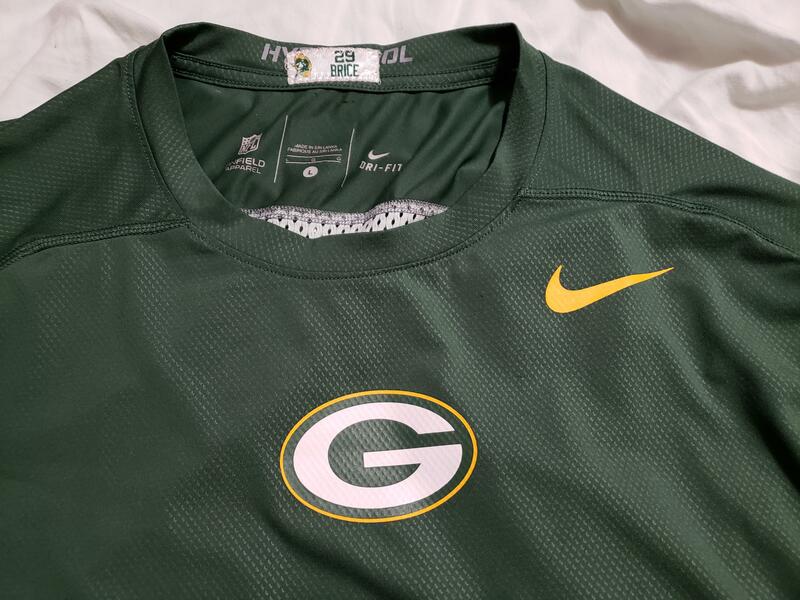 Chris Lindstrom is #28, N'Keal Harry is #29, and Dexter Lawrence is #30 for the r/GreenBayPackers big board project. Who's next? 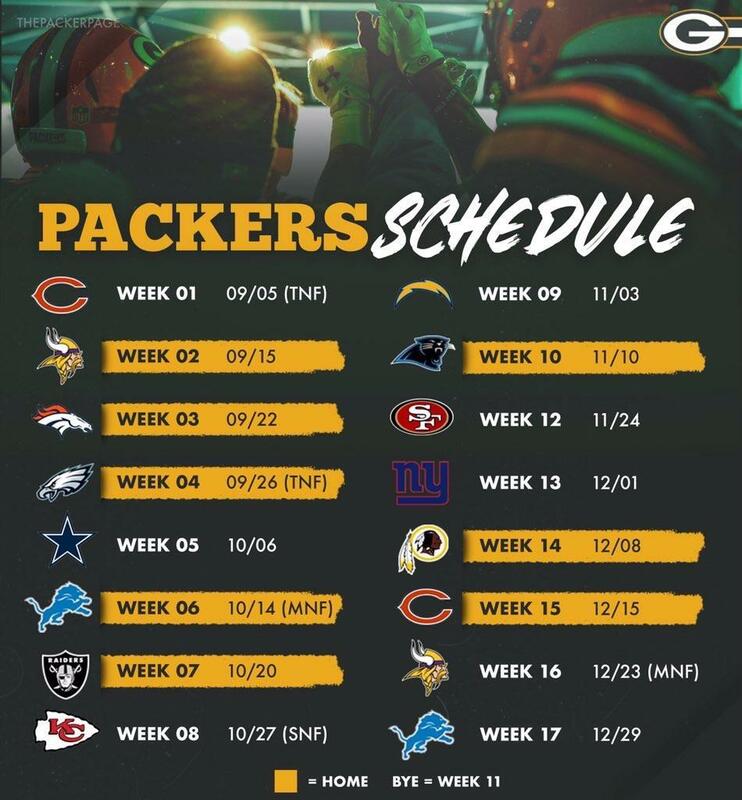 Now that we have the schedule, can we get a FAQ megathread about visiting GB for the first time? Sports Wars is a new podcast I stumbled on. 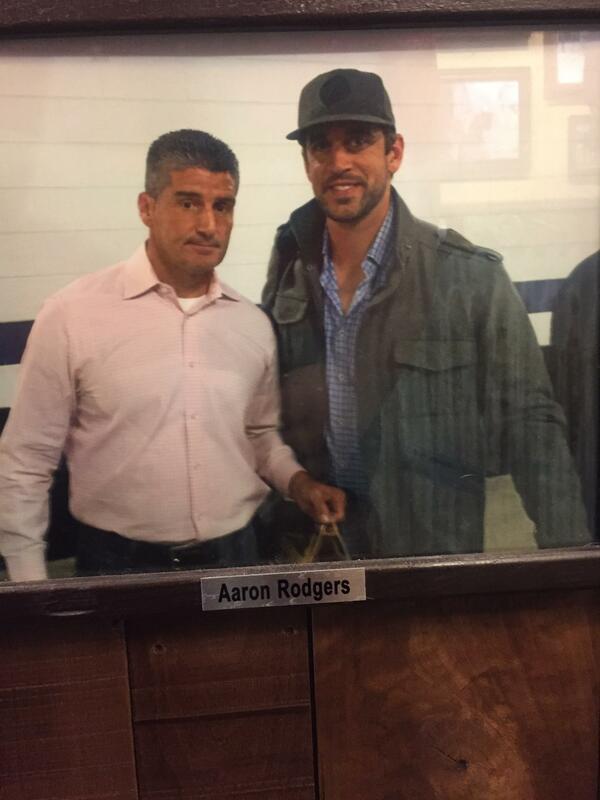 It's about the "rivalry" between Rodgers and Favre. Thoughts on taking one of the TE’s from San Diego St/San Jose State? Got Airbnb near Lambeau & owner wants list of first & last names of all guests staying. 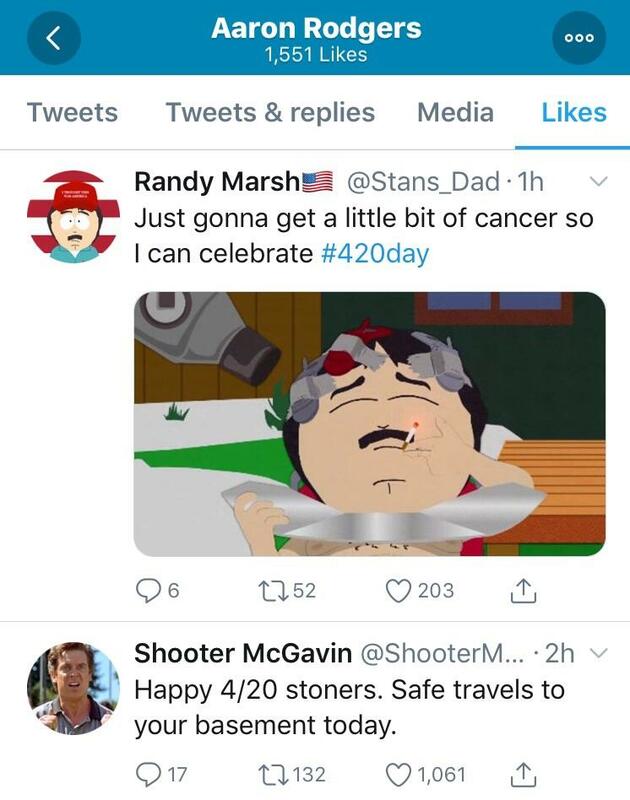 Is this weird? 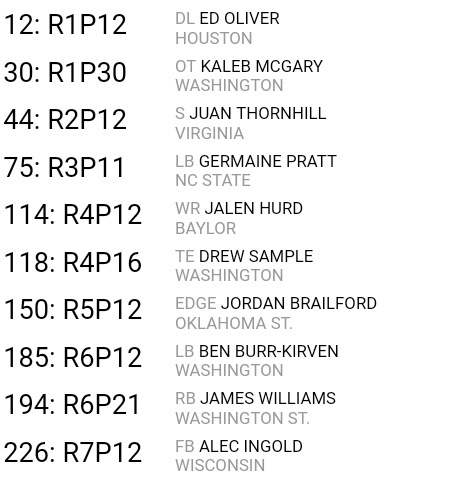 My favorite mock draft yet. 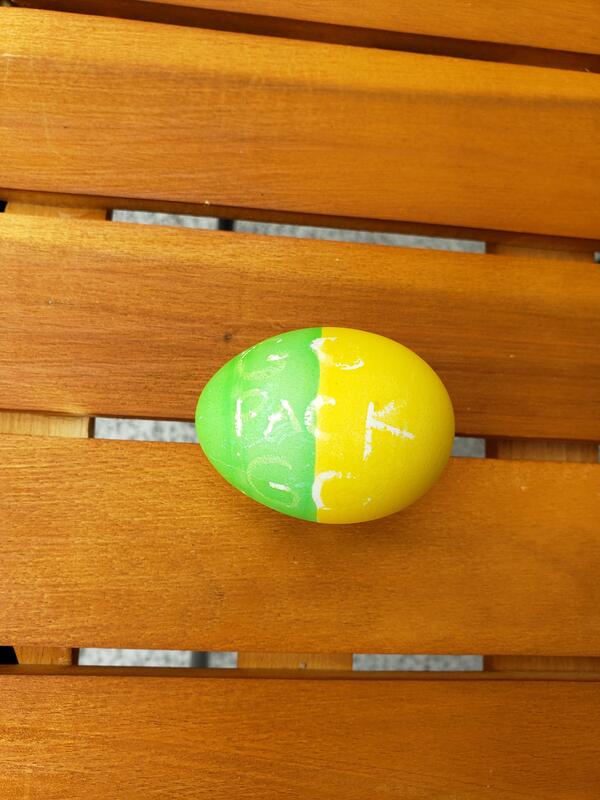 We dyed some eggs in honor of our favorite fan base. Whenever I'm on vacation I always wear packer gear at least one day when I'm touring. Should we be considering a trade for Trae Waynes? [Nagler] The Packers will hold a press conference on Tuesday. Mark Murphy, Ed Policy and Craig Dickman will announce "the involvement of major investors and future additional development at Titletown. Surprising cuts that could happen during preseason? 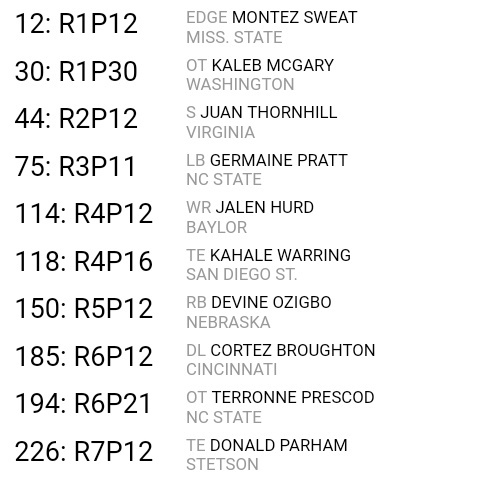 How do you think the ILB class looks outside of Devin White and Devin Bush? How would you rate them?